Megan made this card for a special aunt who is under the weather. 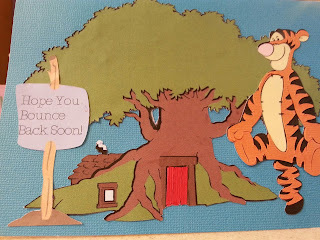 Let's hope that Tigger will help her bounce back soon! She used the Cricut Explore to make the sign by adding the text. 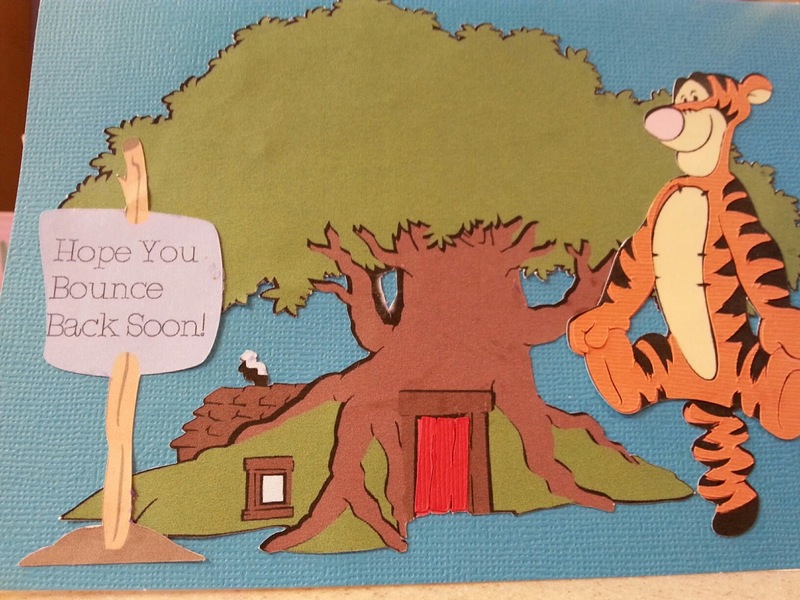 Tigger was made with Print and Cut and the orange was then cut with card stock to layer Tigger. The tree was also Print and Cut and the red door was layered with card stock. We hope our aunt is better soon!